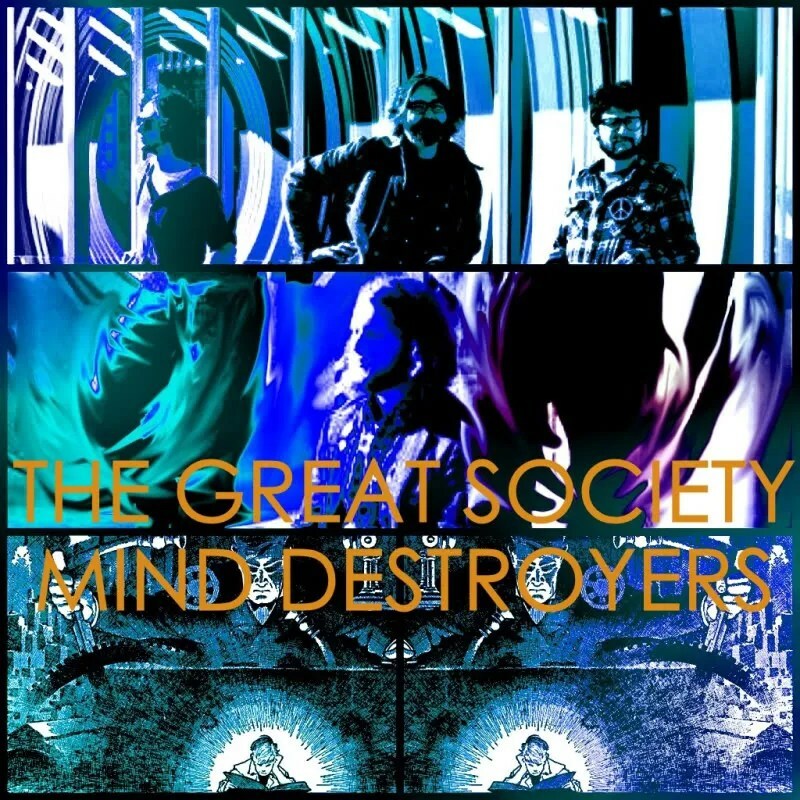 It will one day be easy to recall the time our minds were not under the spell of – if not fully destroyed by – the force known as “Spirit Smoke,” the recent release from The Great Society Mind Destroyers. Today is not that day. One day we will be fluent in both the technical and metaphysical explanation of the altogether awesome audio-alchemy that occurs when under the spell of “Spirit Smoke.” Today is not that day. One day we will even speak reverently of the spell cast over us by this band, without even the briefest of thoughts regarding any other “great society” – in fact, society not born of the Windy City and not using that wind to send the sounds of “Spirit Smoke” spiraling into the air will be conspicuous only in its absence. Today is, of course, not that day. Today is a day that sees our footing unsure, our vision unclear within the infrastructure of this Great Society. Today is a day where the throes of death can still be felt in our consciousness, a recent victim of these Mind Destroyers. Today is a day that sees us unable to define the origin of “Spirit Smoke,” though we have identified its key, conquering elements: the shaking and shrieking distortion, the steady thunder roll of drums alive underneath, and the million-miles-away vocals that orbit the entire ordeal, offering proof of the band’s gargantuan gravitational pull. From the opening explosion-in-reverse of “Temple Lurker” to the wandering weightlessness of “Higher Bodies,” “Spirit Smoke” drifts but never deserts. Each and every song lays waste to resistance, it’s chaos neither calculated, nor careless. Its chaos is in us – its chaos is us. The explanation of the greatness that is The Great Society Mind Destroyers may arrive one day – but we aren’t holding our breath. Rather, we contentedly resolve to inhale deeply from this “Spirit Smoke” for some time to come. “For years, I labored with reforming the existing institutions of society, a little change here, a little change there. Now I feel quite differently. I think you’ve got to have a reconstruction of the entire society – a revolution in values.” – Martin Luther King, Jr.
← BEYOND BEYOND IS … BOOGALOO!